Small Business Trends offers a wide assortment of articles that are relevant to small business owners, with new article added every few hours. The Small Business Influencer Awards are also a great chance to recognize individuals, companies, and apps that have contributed to your success. 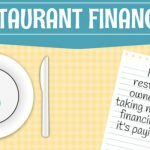 A great resource for small businesses with blog topics broken into categories including Customer Service, Legal, Social Media, and more. They also have a section of recommended free business tools. EnMast is an online community just for business owners with advice, tools, and resources, including eBooks and webinars. They also have a great Twitter presence, featuring their own articles as well as other industry thought leaders. Not only is their blog helpful and informative, they also have online forums for entrepreneurs and business owners to connect, a directory of member businesses, and a chat feature. Not to be confused with the US Chamber of Commerce, ChamberofCommerce.com is associated with several thousand local chambers and offers advice for small business owners focused on growth. Small Biz Daily offers smart, straightforward business advice for entrepreneurs. They also stay on top of business trends to keep readers ahead of the curve in their industry. One of the best things about Bplans is the variety of small business related topics that are covered. Article subjects range from marketing, to cash flow management, to payroll and more. 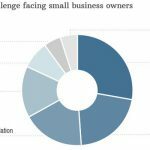 Articles on Small Biz Survival focus mainly on small town businesses but are relatable for many business owners. There is also a great Podcast section featuring interviews with small business experts. MarketingProfs is a fantastic resource for marketing tips, and has a section dedicated to small businesses. They offer statistics, advice, and how-to articles in an easy to digest format that can help small business owners improve their marketing efforts. As part of the New York Times, the You’re the Boss blog shares articles of interest to small business owners. They have over a dozen contributors that offer their unique perspective on top business news.